We are a new cancer family, but when we meet people the first question is, how did you know Boston was sick? This is our sweet boy’s story. Boston was our surprise baby. I remember being so scared because when I found out I was pregnant with him I had a 2 year old and a 7 month old. I had no idea how I would take care of 3 kids, all 3 and under. From the moment Boston came into our family, I knew without a doubt that he was supposed to be here, exactly when he came. 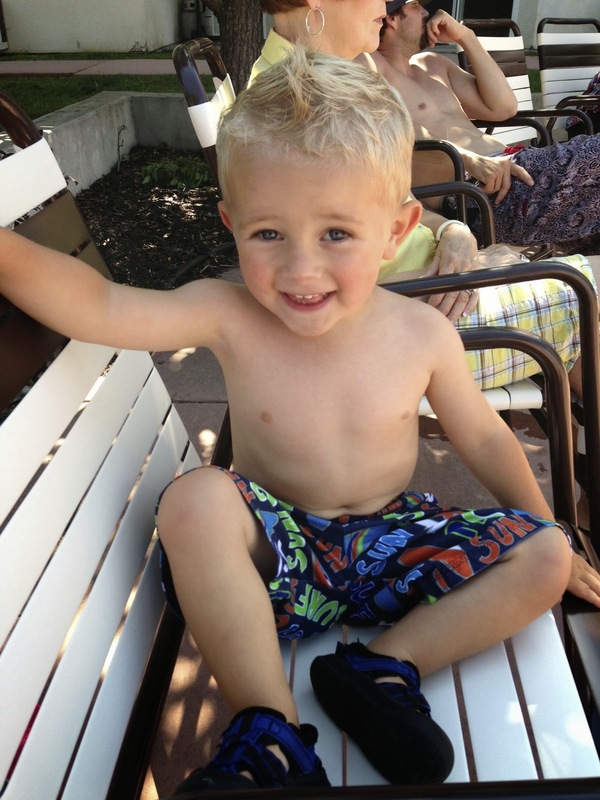 He was the happiest baby, extremely relaxed and incredibly loving. He’s always been this way. Boston also doesn’t talk. 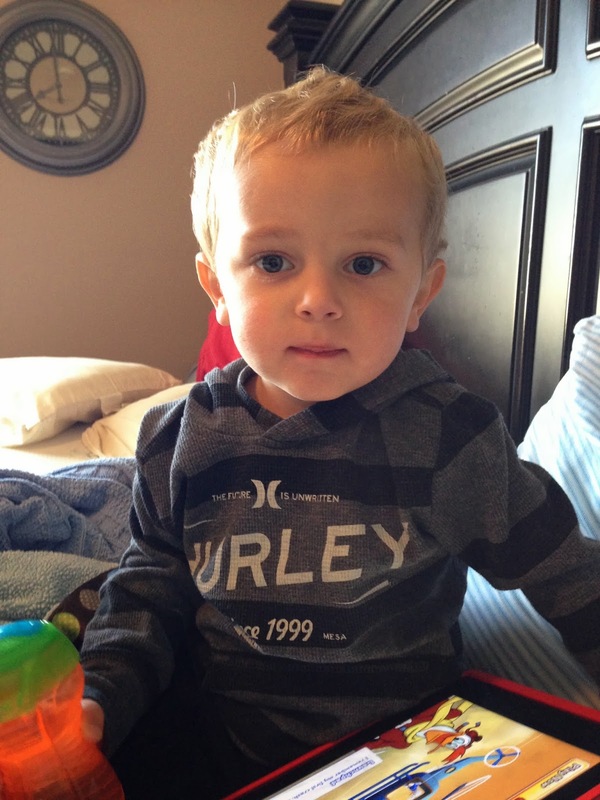 We had his hearing tested after he turned 2, and we were informed he needed tubes placed because of fluid build up. He had the tubes placed at the end of June this year. I kept hoping this would help his speech, but he still wasn’t progressing, even with the help of speech therapy. This is important to know because Boston has never been able to tell us where he was hurting. In mid-September, he started to limp. We had seen him do this a few times within the last month, so we had attributed it to growing pains. The next day he would only crawl. This wasn’t something he had done before. The following day he screamed when we touched him. I took him into the pediatrician, fully expecting he had fractured something or pulled a muscle. They sent us to get an x-ray, which came back negative. We were told that if it got worse or he developed a fever, to let them know. A week and half later, Boston was limping around if he tried to walk, but was still preferring to crawl. We went in for our youngest son’s check-up and the pediatrician looked at Boston again. He ordered an x-ray on his hip. This came back negative again and we were told the same thing- call if it got worse or if he developed a fever. Three weeks after Boston first started limping, he still wouldn’t walk. As parents, you know when something just doesn’t feel right. We knew that it wasn’t going to get better. We took him back to the pediatrician and together decided to have a full x-ray again and have a pediatric radiologist look at it. His pediatrician also ordered blood work. He called later that evening and informed us that the x-ray came back negative again, but some of his blood work was abnormal. We were admitted to a local hospital that night. We met with more doctors, none of them knowing exactly what was wrong. His blood work was showing us that his inflammation was high and his white blood cell count was low, but nothing too abnormal. 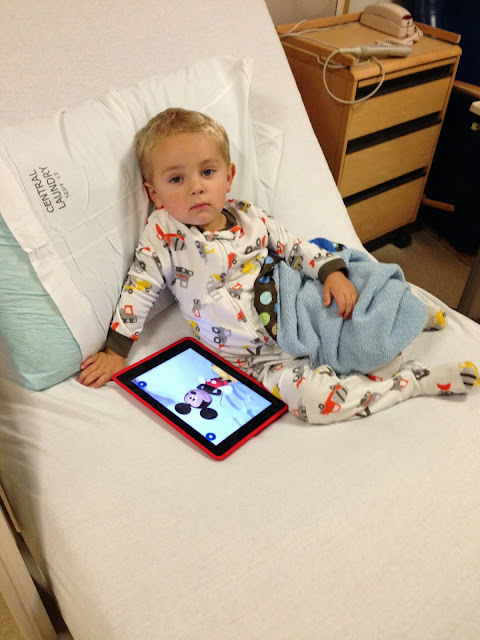 The next day the hospitalist discussed with us some options and we decided on a bone scan. This was supposed to be done by injecting some dye that would gather where his body was “angry”. We weren’t surprised, but very frustrated, when this came back negative. Its hard when there is something wrong with your baby, but no one can figure out what it is. 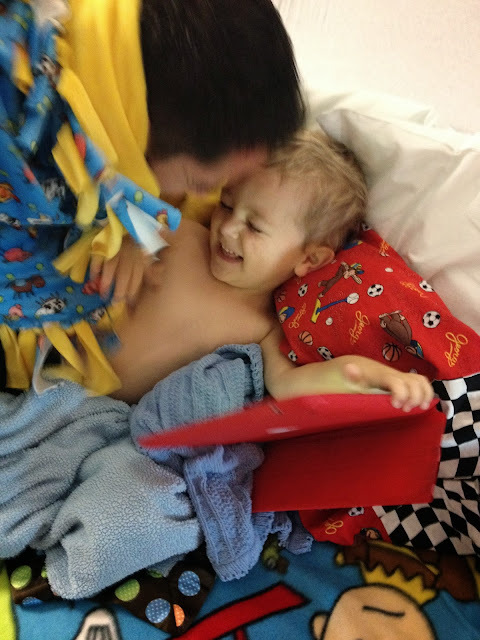 We so badly wanted to help our little boy, we missed him running around and playing with his siblings. The hospital sent us home until the pathologist could read the results of his blood smear that Monday. During this whole process, we were told it was probably an infection or a fracture no one could find, and a very small chance it was something more serious. The pathologist didn’t find anything, so after our pediatrician and hospitalist talked, they decided it was time to send us up to Primary Children’s Medical Center to see an Orthopedic Pediatrician. We met with him a few days later. He took another x-ray, but this time he saw some hollow spots on his left tibia bone that he wanted an MRI on. We went back the following day and Boston had an MRI. This is when things drastically changed. He informed us that Boston was missing some fatty tissue that usually surrounds the bone. This was a sign to him that abnormal cells were pushing it out- most likely cancer. They sent oncology down to talk to us before we left. The whole time I just kept thinking they were wrong. This was just another test that would come back negative. We had to wait a week to see the Oncologist. It was the longest week of our lives!! 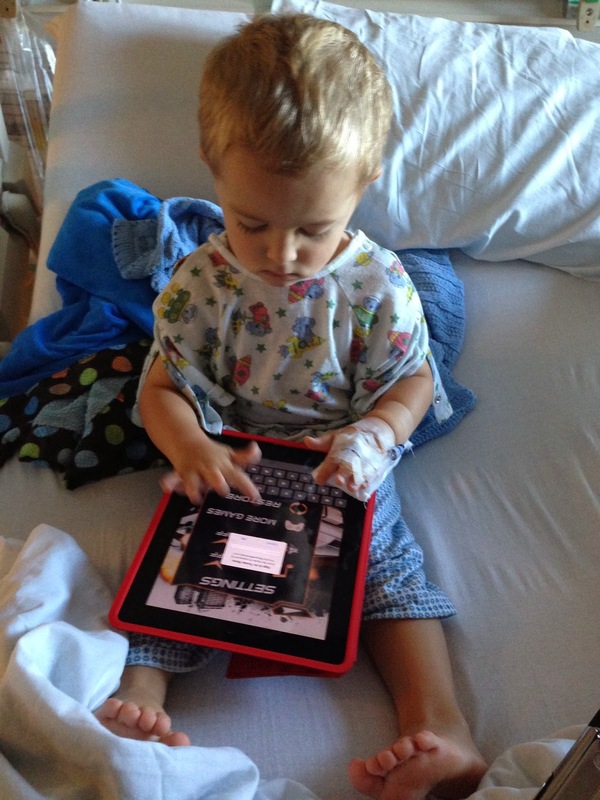 The next week we met with oncology and gave them the history leading up to the appointment. 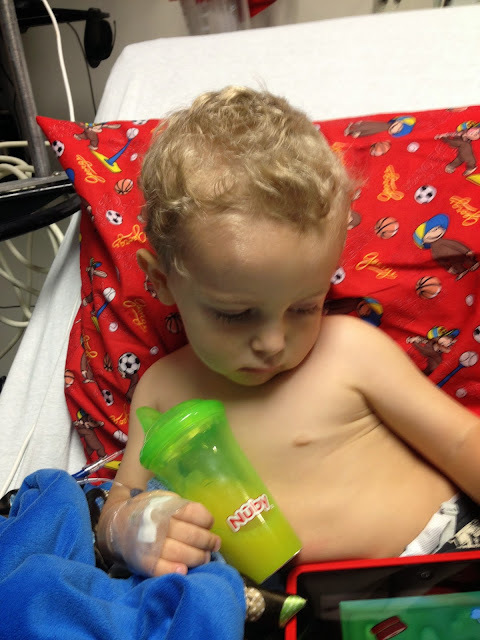 Boston was scheduled to have a bone marrow aspiration and bone biopsy. The oncologist came out after the procedure and told us it was extremely hard to remove bone marrow. It should have come out just like blood does. This was a bad sign to him. We were told to go get some lunch and come back for the results. I will never forget the moment that the doctor walked in to the room and told us our sweet boy had Leukemia. My heart instantly broke, and I was shocked. He was limping, how could he have Leukemia? We were admitted and the next 6 days were a whirlwind of tests, more bone marrow aspirations, spinal taps, blood transfusions and chemo treatments. 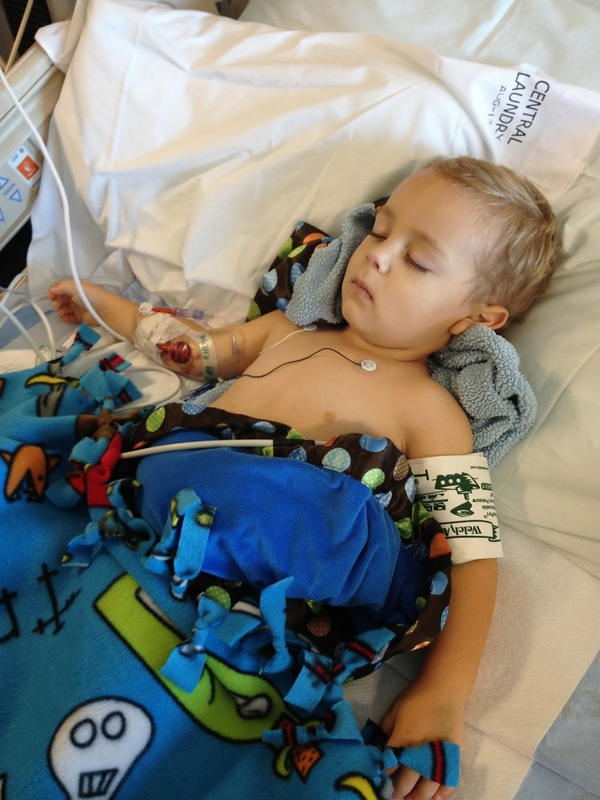 Boston had developed a fever, so they had to place a PICC line instead of a port. 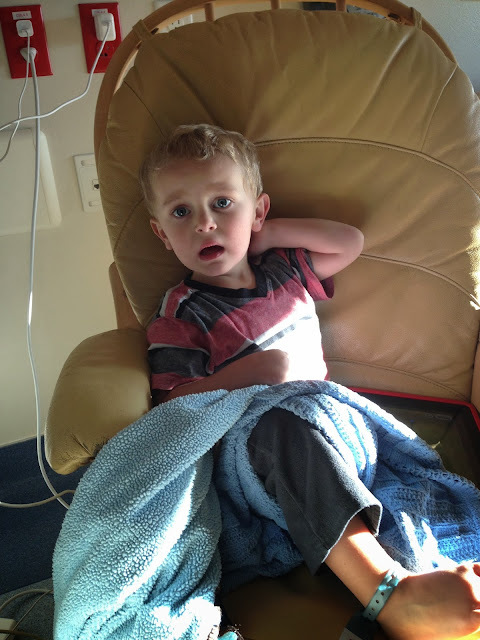 We learned Boston had B cell Acute Lymphoblastic Leukemia. It is the most common form of Leukemia in children. He is standard risk, which is also most cases. What is completely ironic about Boston’s diagnosis was his cousin Haley just finished her fight against this same cancer. 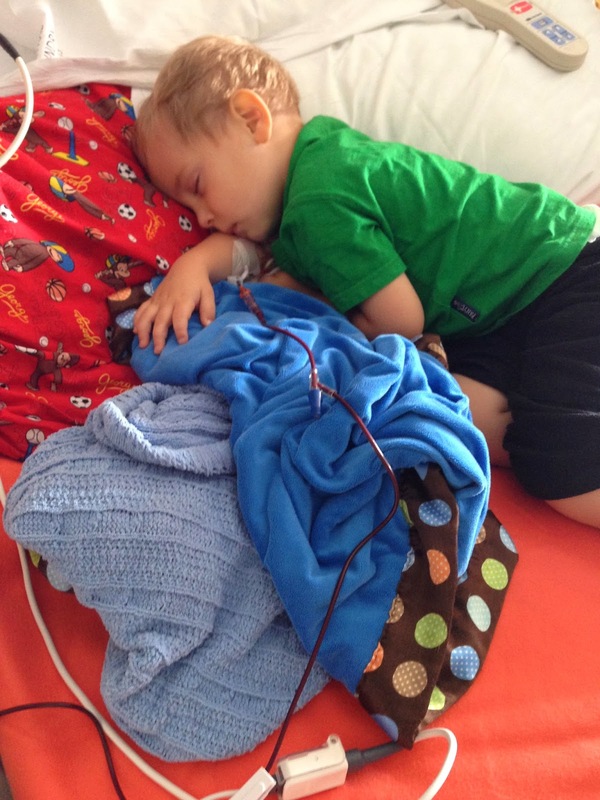 Boston received his first chemo treatment the exact same day she received her last. We’ve been home for a week now and its been quite an adjustment. Boston is the 3rd of 4 kids, all 5 and under at the time of his diagnosis. His older brother and sister have taken things really well, being completely understanding when I explain we can’t go to the store or the park for a while. He is also on steroids for this month and has turned into quite the screamer. His appetite has increased though, so I’m hoping to sneak in some new foods :). This has been the hardest thing we’ve ever been through- I keep wondering when we will get back to normal- realizing this will never feel normal. Having a child with cancer will be hard, on all of us. But we are doing our best to keep his life and theirs much like it was before. Boston will be treated for this for 3.5 years. He will be 6 when he will be done. It feels so far away! We are so grateful for all the kind words and gestures people have shown us. Our hearts are broken, but we have been blessed with so many wonderful people who are here supporting us. We have met a few families who are also going through this, and we are grateful for that support as well. We know we have a long road ahead of us, but we are hopeful that our sweet boy thrives and that we can give him the best support possible! !